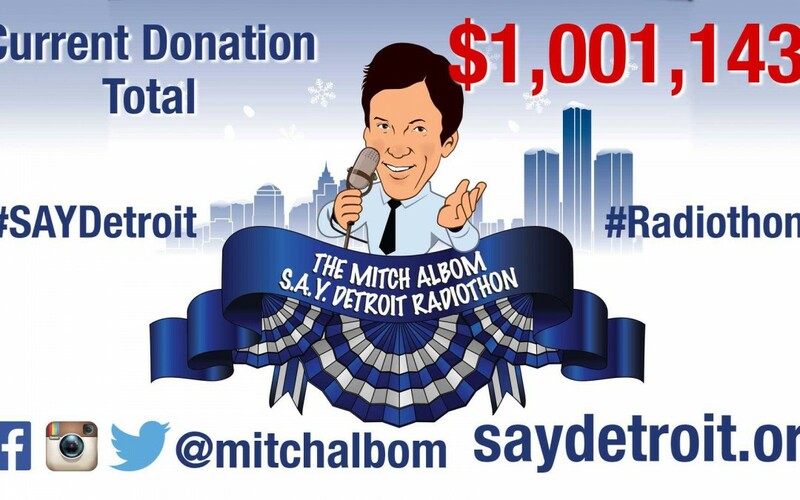 Fourth Annual SAY Detroit Radiothon Raises 1Million! All-day radio for better days in Detroit! 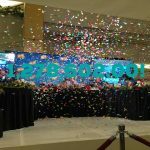 Broadcast live from The Somerset Collection in Troy, MI on December 10th, the fourth annual S.A.Y. Detroit Radiothon surpassed all previous fundraising records to collect more than $1 million to help Detroit’s neediest citizens. 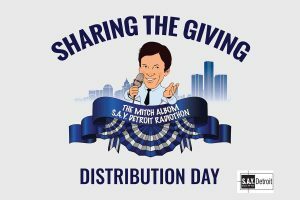 Hosted by Mitch Albom, S.A.Y. Detroit’s founder, the fifteen-hour broadcast aired live on WJR 760 AM with video streaming on several media outlets including wjr.com, WDIV’s clickondetroit.com, freep.com and at saydetroit.org. The day’s entertainment brought together all parties—the people who benefit from these charities, famous folks who wish to call attention to them, and donors who wish to help—to create a star-studded celebration of Detroit. For the first time, visitors from around the world (and as far as South Africa) could participate in live auctions for one-of-a-kind items donated by sponsors and celebrity guests. Highlighted items included a round-trip to Los Angeles to meet Dr. Phil and attend a show taping, a signed hat worn by The Voice winner Sawyer Fredericks, a round trip to New York for breakfast with Jane Pauley and attend a taping of CBS Sunday morning, a professional keepsake video recording of a fan catching a pass from Detroit Lions QB Matthew Stafford, personalized voicemail greetings from Hugh Jackman, Hank Azaria (in Simpons character), and Craig Ferguson, signed guitar by KISS’s Paul Stanley, tickets and backstage passes to a Jimmy Buffet concert, and a night in the Zetterberg suite at Joe Louis Arena. Albom welcomed on stage, or virtually by phone and skype, notable guests and co-hosts including Hugh Jackman, Michael Bolton, Paul Stanley, Billy Bob Thornton, Jane Pauley, JK Simmons, Craig Ferguson, Alice Cooper, Bradley Whitford, Hank Azaria, Tim Allen, Sawyer Fredericks (winner of the Voice), Howard Schultz, Kevin Eubanks, Desmond Howard, Kirk Cousins, Matt Stafford, Stan Van Gundy, Brad Ausmus, Bernie Smilovitz and many more. Bestselling author and humorist Dave Barry and renowned Jazz guitarist John Pizzarelli shared the co-hosting desk for most of the day. Detroit media stars like Carmen Harlen, Devin Scillian, Roop Raj, and Amy Lange also joined, as well as Mayor Mike Duggan. More than entertainment, the day was also an opportunity to highlight the success stories of the efforts funded by the event. Three working families were given homes through Working Homes/Working Families, a program designed to pair refurbished abandoned homes with working families who will maintain them and help rebuild neighborhoods. Patients from the S.A.Y. Detroit Family Health Clinic gave testimonials about their care at the first free clinic for homeless women and children. A student from the new S.A.Y. Play Center shared her love of dance, which she gets to practice in the dance studio of the newly launched academic and athletic center. Since the first broadcast in 2012, the previous radiothons have raised over $1.6 million to help the poor, the homeless, families without homes, children without medical care, students hoping to reach the college of their dreams and veterans who have hit hard times. All funds raised benefit S.A.Y. (Super All Year) Detroit, an umbrella 501 (c)(3) nonprofit organization that funds programs like the S.A.Y. Detroit Family Health Clinic, the S.A.Y. 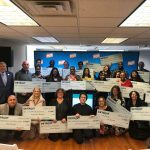 Play Center, Working Homes/Working Families, the Dream Scholars, A Time to Help, and several other local charitable efforts who care for Detroit’s neediest and work towards a revitalized Detroit.